I stumbled across a group picture of 254 squadron taken in front of a Beaufighter. A.S.Kelshall is I believe, seated front row, 3rd from right. 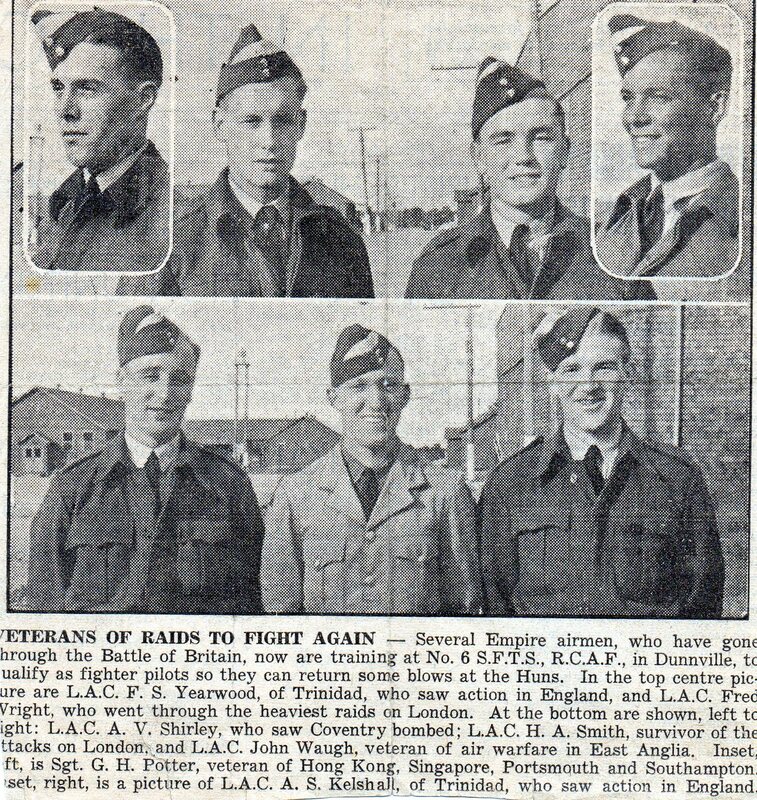 The photo can be found on the website of John Care who was squadron leader. Also and rather interestingly the same photo, at a reduced resolution can be viewed on youtube by typing in ‘beaufighter’ as keyword. 254 Sqn used Blenheims until summer 1942 so this photo will be later than 1940 – my guess would be 42/43 judging from the camo on the plane (guess that makes me a bit of an anorak). My mother, Monika, was born in Detmold in 1951 to a Caribbean GI and a German mother who worked at Hobart Barracks and who was called Ilse (or Else which would be a nickname for Elisabeth). Sadly, she was forced to give up my mother and her sister, Marion, for adoption a few years later. Therefore, most of the information I have is the product of sketchy childhood memories, family lore and some guess work. 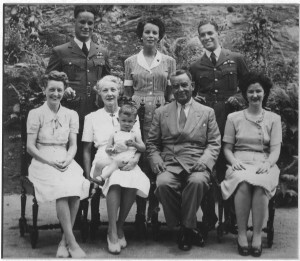 In later life, my grandmother married a military man and moved to Canada. Unfortunately, I have not been able to track her down. Back in the 1950′s and early 1960′s, my mother lived mostly at an orphanage in Iserlohn during the work weeks. But at on a few occasions, her mother would take her to work at the barracks where she met either her birth father or some comrades of his. (My mother still vividly recalls a merry bunch of GI:s who tried to teach her English children’s songs, like ‘London bridge is falling down’…). From these small excursions, my mother also remembers the name Arnold Sinclair, which led me to this site. My mother also says that her father was partly of African descent. Naturally, I am not presuming that we are related to the Kelshall family, as childhood memories can play tricks on you. On the other hand, I understand that the Caribbean Crew was a closely knit family and that there might still be someone out there who knew my natural grandfather. Therefore, I would be very thankful for any information that could point me in the right direction. I am Monika, the mother my son Michael is writing about. I was born in 1951 in Iserlohn, Germany (not in Detmold). My mother’s name was Ilse. She worked as a service force in the canteen of the Hobart Barracks in Detmold. From my childhood memory I know this barracks. As a child my mother took me once a year: at Christmas last in 1959. She introduced me there to her future husband (Arnold) and father of her future children Robert and Susan Sinclair. That was the last time I saw my mother. She released me for adoption. As I learned later, she moved to Canada in 1973 with her new family. After 9 years of my life I left my dull home, the orphanage in Iserlohn and moved to adoptive parents. I think the Caribbean crew was a solid community where you were not just seeing each other. Maybe someone still remembers the time in Detmold and can give hints, which are helpful for the search for my biological father and grandfather of my son Michael? Maybe someone of you knows or knew Arnold and Ilse Sinclair and is willing to tell me and / or my son their whereabouts? For information that could point me in the right direction, I would be very grateful.